Many departments are now looking to expand their ranks while increasing the diversity of their personnel. Research conducted by the National Volunteer Fire Council (NVFC) — the leading nonprofit membership association representing the interests of the volunteer fire, EMS personnel and rescue workers — found that there is significant interest in serving by audiences currently under-represented in the fire service, including millennial’s, women and minority populations. The research showed that the level of interest in volunteering did not vary significantly between women and men, and that minority populations exhibited as much, if not more, interest than their white counter parts. One obstacle to volunteering, however, is awareness. The NVFC research showed that 79 percent of people do not know if their local fire department needs volunteers. The NVFC hopes to help departments expand their reach by encouraging more members of the community to volunteer through its Make Me a Firefighter recruitment campaign. The campaign helps departments fine-tune their recruitment efforts to appeal to a broader range of individuals. “The campaign not only facilitates connections between departments and prospective volunteers, but it specifically helps departments reach under-represented groups such as minorities, women, and young adults,” says Juan Bonilla, fire chief and vice chair of the NVFC’s recruitment and retention committee. “Anyone can be a firefighter. We come from all ages, genders, backgrounds, races, and ethnicities. It is our goal to reach more of the community to increase awareness of the volunteer opportunities available,” He says. Volunteers make up 70 percent of the fire service, but many departments are struggling to meet staffing needs. Call volume has tripled over the past 30 years as departments respond to a growing range of emergencies that include fires, emergency medical incidents, hazardous materials response, search and rescue, terrorist threats, natural disasters, and other public service calls. Volunteers also provide additional services to their communities, such as fire prevention and life safety education. 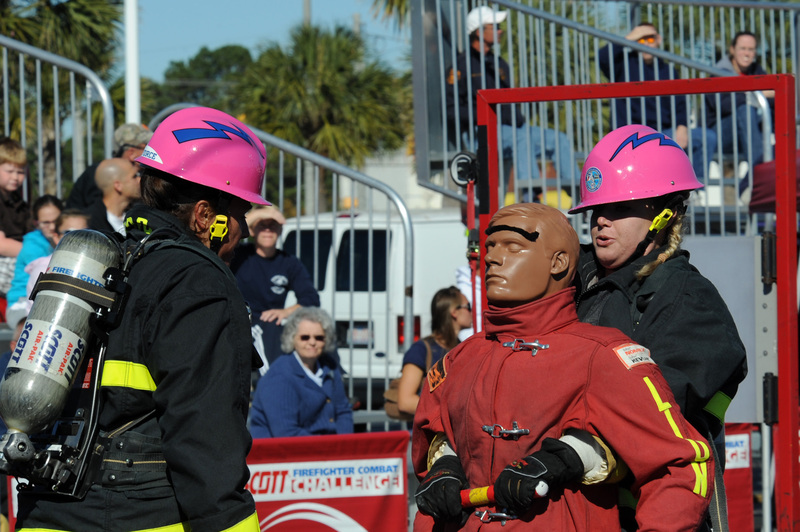 Fire service volunteers play a crucial role in the protection and safety of U.S. communities. One third of the U.S. population relies on the volunteer emergency services to be their first line of defense in emergencies. In addition, volunteers save localities across the country an estimated $139.8 billion annually. Departments can use the Make Me a Firefighter campaign to create recruitment materials, manage the recruiting process and post their opportunities in a national volunteer database. Individuals interested in volunteering in the fire service can visit www.MakeMeAFirefighter.org to find a local volunteer opportunity and connect with a department. “Our country relies on the dedication and service of over one million volunteer firefighters, EMTs, and rescue workers to protect our communities,” says NVFC chair Kevin D. Quinn. “It takes commitment and dedication to be a volunteer responder, but the rewards are overwhelming.